The Telegraph Quartet was formed in September 2013 with a commitment to a passionate approach to the standard chamber music as well as contemporary and non-standard repertoire, alike. 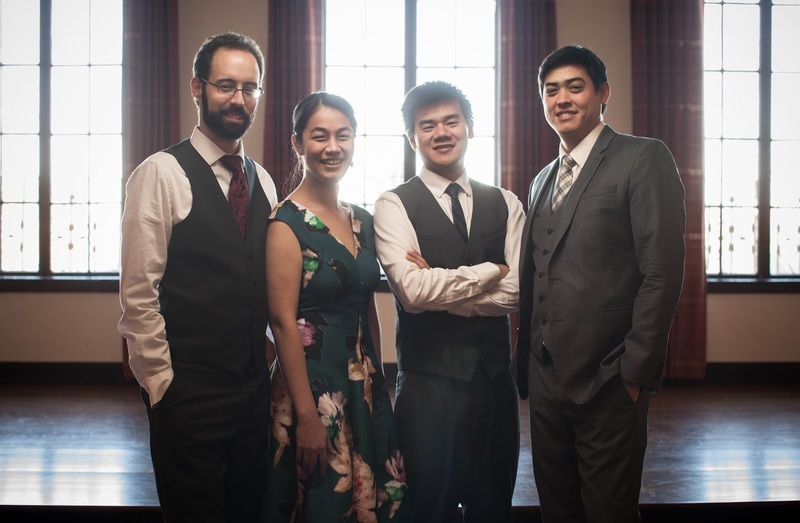 Described alternately as “intensely urgent” and “poignantly resonant”, the Telegraph Quartet received the prestigious Grand Prize of the 2014 Fischoff Chamber Music Competition and has gone on to perform in concert halls, music festivals, and academic institutions across the United States and Europe, from Los Angeles and New York to Italy. Most recently, the Telegraph Quartet was invited as one of a handful of emerging professional string quartets from around the world to perform in Paris, France at the Quatuors à Corde, a showcase for major concert presenters of Europe and Asia taking place at the Philharmonie de Paris. For the upcoming 2016/17 season the Quartet has been invited to participate in the St Lawrence String Quartet’s Emerging String Quartet Program at Stanford University - a week-long residency that will involve close mentoring of the Telegraph Quartet by the St. Lawrence String Quartet, joint performances with the SLSQ and many community outreach events. A constant champion of contemporary and 20th Century repertoire, the Telegraph Quartet is also commissioning John Harbison’s newest work for the form, his String Quartet No. 6, as part of a consortium of other quartets, scheduled for the Spring of 2017. The Quartet will also be releasing their debut album in the coming season, featuring the works lesser-known works by Anton Webern, Benjamin Britten, and Leon Kirchner. While the Telegraph Quartet is indebted to numerous mentors in the chamber music community for their musical guidance and support, the Quartet has studied primarily with Mark Sokol, Bonnie Hampton, Paul Hirsch and Ian Swensen. The Telegraph Quartet is based in the San Francisco Bay Area.